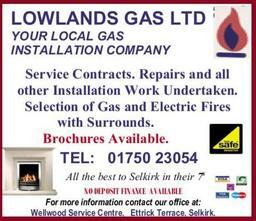 Lowlands Gas Ltd was established by partners John Emond & Eddie Ross after 30 years of combined experience working for British Gas. 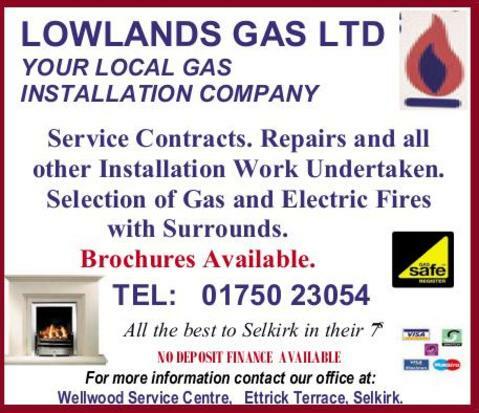 The company was created to carry out quality domestic heating installations and gas service work throughout the Scottish Borders.Brochures available, No deposit finance available. Gas cookers, ranges, hobs etc. Commercial and industrial appliances, catering equipment etc. Annual service contracts available including full breakdown cover. We install the very best quality boilers, appliances and materials.The main boiler we install is the vaillant condensing range of gas boilers who have continually been at the head of the market for quality and efficiency with a professional after sales back up team. 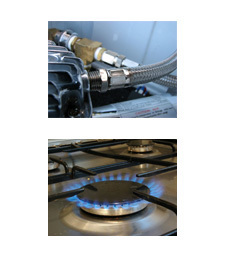 We install the very best quality boliers, appliances and materials.The main boiler we install is the vaillant condensing range of gas boliers who have continually been at the head of the market for quality and effiency with a professional after sales back up team. 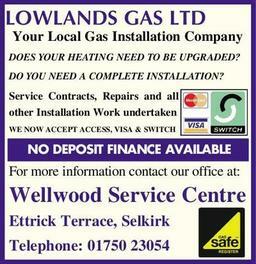 Testimonials are curated by LOWLANDS GAS Ltd and are not independently reviewed or verified. "WOULD LIKE TO EXPRESS MY THANKS AND APPRECIATION FOR THE PROFESSIONAL SERVICE"
"Hot water appears to work perfectly as described. The work progressed apparently without hitch and without much disruption over the three days. I would like to express my thanks and appreciation for the professional service you and your team have provided. I will be sure to use and recommend you to my friends and family in the future." "THEY DID A GREAT JOB AND BOTH MY HUSBAND AND I WERE DELIGHTED WITH THE RESULT." "May we extend our thanks to the guys who installed it. They did a great job and both my husband and I were delighted with the result. There was minimal mess and disruption. 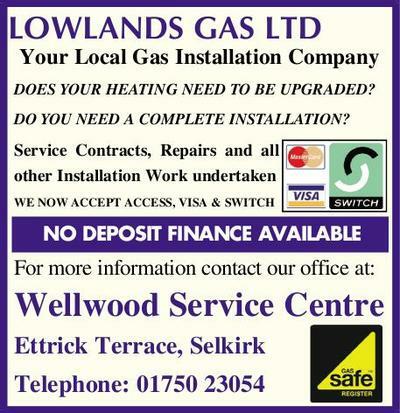 We will happily be recommending yourselves to anyone who needs a new boiler!"